At Myles Nelson McKenzie Design, we have seen the growth and movement of the small house design and vacation home design mushroom over the years! Recently, we had designed a small house designed for a client. Another client really enjoyed our small house original design concept. They asked if we could enlarge the home design to fulfill their needs with options for future room additions as additional house space is needed. The newly designed small house has been enlarge to 646 square feet, the main small house design has a single large bedroom, bath with dual entrances, entry hall, great room with large size kitchen and island right off of it. We have allocated space and connection points in this small custom home design for future room additions. The connection points are either off the front wall of the kitchen or off of the rear porch area with minimum change to the existing residence. Any size of garage addition or room addition will work. This custom residence was also designed for a full basement in mind. 10 foot Building Plate Height. Sloped Roof for Solar Panels. Windows and Doors are set at 8 ft height. Aluminum frame roll-up Garage Door/Great Room. Multiple Exterior Materials and Finishes. 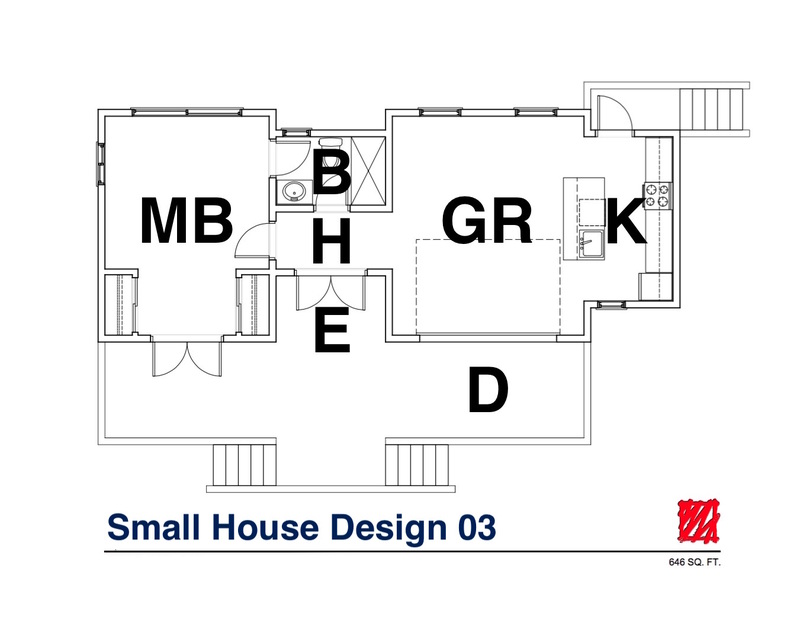 Click on the small house design images for an enlarge view. Next Post What is Hurricane Home Design?